Our paper on selection pressures in On-line Distributed Evolutionary Robotics has been presented at ALIFE14: the 14th International Conference on the Synthesis and Simulation of Living Systems, New York, USA, July 2014. A similar paper on selection pressures in Online, Distributed Evolutionary Robotics has been presented at RJCIA2015: Rencontres des Jeunes Chercheurs en Intelligence Artificielle, Rennes, France, June 2015. 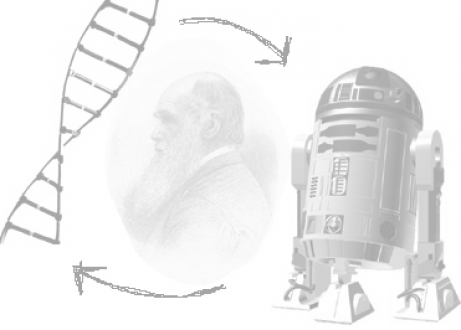 A mechanism for decentralized innovation marking for neuroevolution in Embodied Evolutionary Robotics has been presented at GECCO2015: Genetic and Evolutionary Computation COnference, Madrid, Spain, July 2015. A poster describing the general approach in my work on Incremental Learning in Embodied Distributed Evolutionary Robotics has been presented at the 2015 annual seminar of IAEM doctoral school, Université de Lorraine, Nancy, October 2015. A paper on Learning Cooperative Foraging in Embodied Distributed Evolutionary Robotics has been presented at the 2017 European Conference on Artificial Life (ECAL 2017) in Lyon in September 2017. Our paper was nominated among more than 100 other ones for the best paper award. An illustrative video of the experiments in the paper can be found here. I was invited to give a short talk on Evolutionary Swarm Robotics in the ISAL student group meeting at the 2017 European Conference on Artificial Life (ECAL 2017) in Lyon in September 2017. The slides of the talk can be found here.